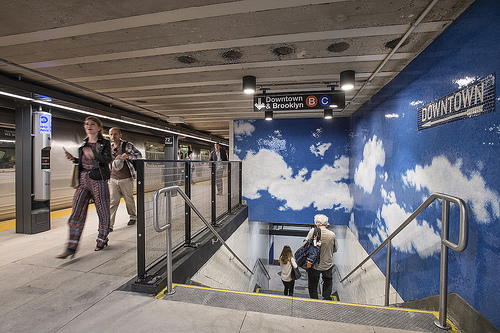 The Metropolitan Transportation Authority (MTA) reopened the 72 St station on the B, C lines following extensive work to repair deteriorating infrastructure and modernize the station environment with improvements such as digital signage for real-time service information, enhanced wayfinding and station entrances, energy-efficient lighting and updated security equipment. This entry was posted in Digital Signage and tagged lines, Reopening. Bookmark the permalink.